Talk show host Barrington “Skippy” Thomas who was served a pre-action protocol letter earlier this month from an attorney representing magistrate Rehanna Hosein for defamatory statements made on his “Evening Drive” programme on Power 102 is ready to apologise. Thomas was threatened by the magistrate who signalled her intention to sue him for what she described as defamatory statements. An attorney representing magistrate Rehanna Hosein sent Thomas, a pre-action protocol letter on July 5 earlier this month, calling on him to retract, correct and apologise for his comments during his radio programme. Thomas was been given 14 days to say if he is prepared to admit liability for his defamatory statements. 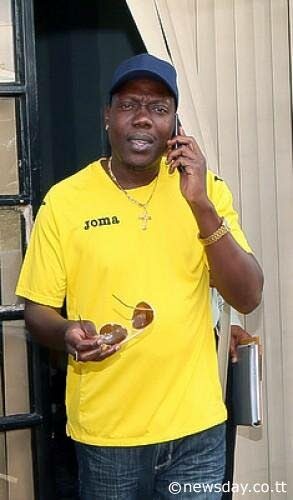 Contacted yesterday Thomas told Newsday on May 18 he appeared before another magistrate Rehanna Ali in the Port-of-Spain Magistrate’s Court and was denied permission to enter the court room with his crutches. He said during his appearance before magistrate Ali he was leaning on the docks because he did not have his crutches to support his injured leg and was allegedly reprimanded by the magistrate for doing so. He admitted that there was a confrontation between himself and the magistrate and on his programme on May 22 he did make some statements but erroneously named another magistrate. “I am ready to apologise, for not only the reasons outlined in the preaction protocol letter, but more so I do accept that I was in error with attacking magistrate Hosein who bears the same first name with magistrate Ali with whom I had the confrontation. I am terribly sorry for the embarrassment caused to her”. I am now in the process of preparing the apology, It was a genuine error and I regret it”, he said. Talk show host Barrington “Skippy” Thomas who was served a pre-action protocol letter on July 5 from a lawyer representing Magistrate Rehanna Hosein, for defamatory statements made on his “Evening Drive” programme on Power 102, is ready to apologise. Thomas was threatened by the Magistrate who said her intention is to sue him for what she said were defamatory statements if he does not retract, correct and apologise for his comments during his radio programme. Thomas was been given 14 days to say if he is prepared to admit liability for his defamatory statements. Reply to "Radio talk show host ready to apologise to Magistrate"